Softcover, 228 pages, black and white illustrations; printed on recycled paper. 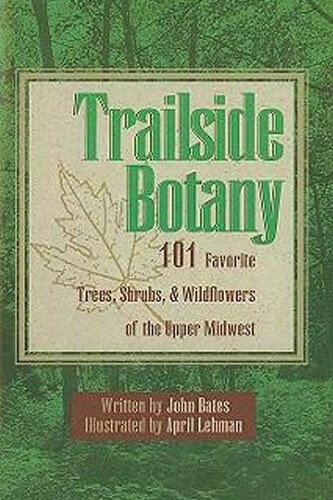 In Trailside Botany, you will find clear descriptions and detailed drawings of the 101 wildflowers, trees, and other plants that you are most likely to see along your favorite North Woods trail. Take your exploration a step further by trying the intriguing activities naturalist John Bates suggests throughout the book. This carry-along guide is a must for families, hikers, teachers, students and naturalists of all ages.